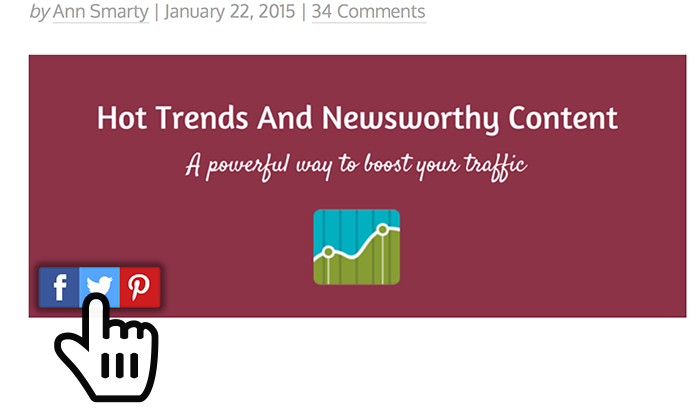 An update with a catchy image will naturally attract attention and spur an action (like, comment, share). Plus, images open up more social media channels for you, like Pinterest, which can be a great traffic driver, especially in some industries. Visual strategy has become one of the most essential and fundamental elements of social media marketing. Image mouseover sharing encourages more readers to post visual updates using your URL which will attract more attention and engagement. 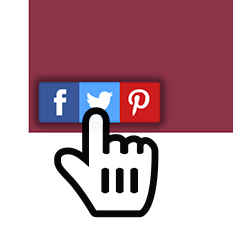 This plugin adds Twitter, Pinterest and Facebook buttons on mouseover. Users need to authenticate both Twitter and Facebook to share but they’ll need to only do it once. You can control where you want your buttons to be aligned inside the image and which message they should create as the social media update. Note: There’s also a WordPress plugin that adds mouseover sharing buttons but the huge difference is that it creates regular (non-visual) update. You can play with the plugin here. Install the plugin from here. Shareaholic plugin is probably the easiest way to enable Pinterest sharing on mouseover. Plus, it doesn’t slow a page a bit. And it’s totally free. You can play with the plugin here (hover-over the top image). 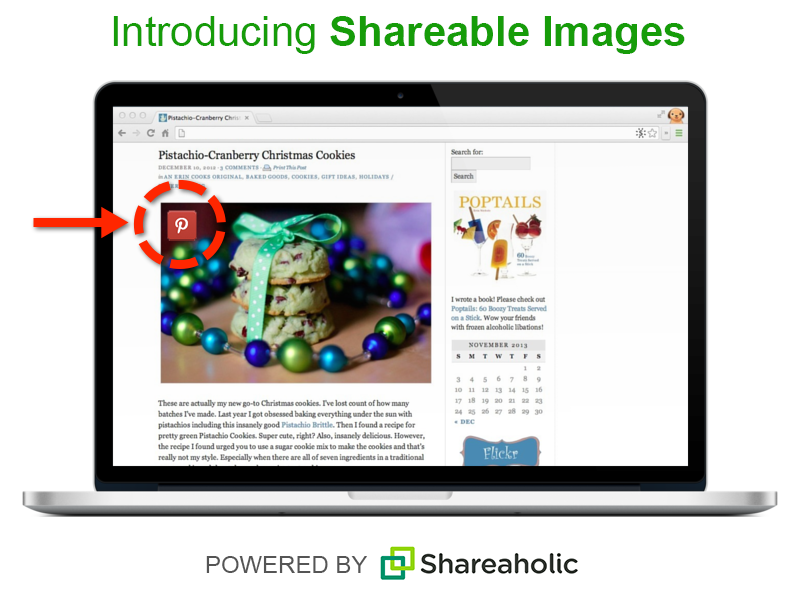 Here’s a tutorial on how to enable their Shareable Images feature. 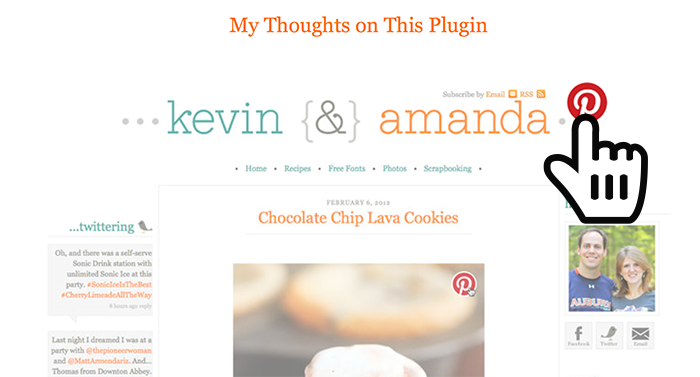 Shareaholic WordPress plugin uses the article title to fill in the pin description box. Note: If you install the plugin, make sure to opt out from the ads: While I love the plugin, I think it’s somewhat sneaky showing paid ads in “Related posts” section until you opt out. As the name suggests, this plugin adds a mouseover “Pin It” button to ALL your images. You can play with the plugin here and download it here. Note: There are some reports saying this plugin breaks your image alignment. But it does work for many, so it’s worth a test. To achieve the same functionality but without the plugin (which appears buggy to some people), go ahead and use Pinterest official code. If you are building your own Pinterest buttons, here’s a nice collection of free icon sets. Spruce is Twitter-friendly visual quoting tool I discovered recently. What makes it stand out from the crowd of other online image editing tools is that it creates images in the perfect Twitter dimensions! Resizing Social Media Images: Easier Than You Think!